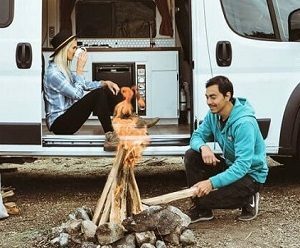 During our 15 month long road trip through the America’s we’ve hiked active volcanoes in Guatemala, swam with sharks in Belize and snowboarded down giant sand dunes in Huacachina, Peru. We thought we had done it all… That is, until now. A few days after crossing into Argentina we got to check off “hiking on top of a glacier” from that once-in-a-lifetime bucket list as well. 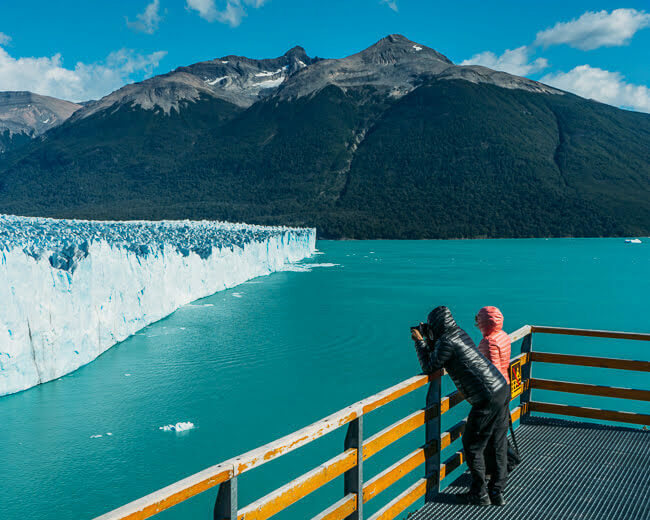 If you are interested in doing something similar while traveling in Patagonia, the Perito Moreno glacier is one of the best places for glacier tours. Located outside of El Calafate town in Argentina, the Perito Moreno glacier is a natural marvel and quite easy to access. There are multiple ways to experience a visit to the Perito Moreno glacier. Visitors can see it from a viewpoint, take a boat tour near the glacier walls or even hike on top of it. The Perito Moreno glacier is quite special. Not only it’s located in one of the most beautiful places in the world, but it’s also one of the few glaciers that is NOT receding or getting smaller. The Perito Moreno glacier manages to replace anything that it loses by creating equal amount of new glacier ice at the top as much as breaks off from it at the bottom. There are only a few glaciers in the world that have the ability to do that in our current climate that is getting hotter and hotter every year. Although the glacier itself is not getting any smaller in size, the glacier walls constantly break off providing its visitors with quite the show when it happens. 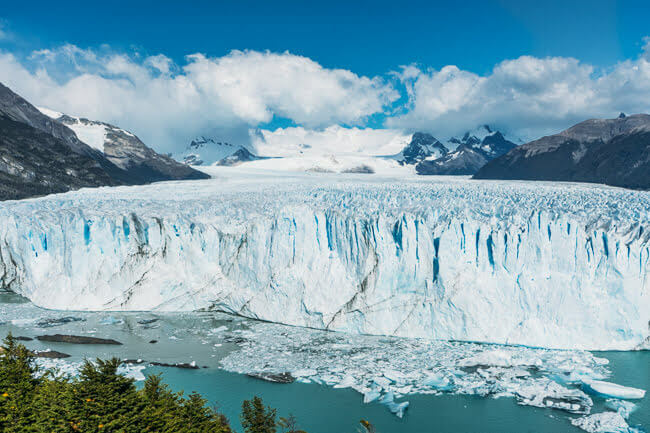 If you venture out to visit the Perito Moreno glacier, you’re likely to see portions of the 60-meter tall glacier walls break within an hour or two. During our visit, we saw a few of the walled sections plummet into the lake creating a loud thundering noise that sent shivers down my spine. Ocassionally the glacier will move so close to the land that it will touch the other side of the peninsula across the Canal De Los Tempanos. The glacier will serve as a dam preventing the water in the lake from moving around. Eventually the water levels will rise and create pressure that will shape sections of the glacier into ice bridges. When these ice bridges collapse, it’s quite the phenomenon to witness. The Perito Moreno glacier is located within the Los Glaciares National Park, a park that was created in 1937 to protect the Southern Patagonia Ice Field and its glaciers. Los Glaciares National Park is the largest park in Argentina and in 1981 it was declared a UNESCO World Heritage site. Keeping glaciers protected is very vital for our environment. Not only glaciers reflect sunlight keeping our planet nice and cool, but they are also an important source for fresh water. In fact, the Southern Patagonia Ice Field is the third largest freshwater reserve in the world. The Perito Moreno glacier is located about an hour drive outside of El Calafate. To get to the Perito Moreno glacier visitors can drive on their own by following Highway 11 heading west from El Calafate, or arrange a ride on a bus with one of the local tour companies. There are various ways to experience a day trip to the Perito Moreno glacier with different cost options that we will cover in detail below. The Los Glaciares National Park has a set of walkways for visitors to see the Perito Moreno glacier up close. These walkways extend along the lake overlooking the glacier from various viewpoints and are set up with an elevator for handicapped and stroller accessibility. It costs 700 Argentinian pesos ($17 USD) per person to enter the Los Glaciares National Park with access to visit the Perito Moreno glacier and these walkways for the day. This is the cheapest option for visiting the Perito Moreno glacier by far since it only requires a $17 USD fee to enter the Glacier National Park. This is also the only option that doesn’t require a tour or a guide to visit the glacier. Tip: If you don’t have a personal car, you can take a bus to the Perito Moreno Glacier from El Calafate’s bus terminal. For this option, we highly recommend stopping by the bus terminal as soon as you arrive in El Calafate to reserve your bus tickets for the glacier ahead of time. In the busy season (December to February) they are known to sell out a few days in advance. There are several companies operating from El Calafate that run these buses on a daily basis. As of 2019 the bus tickets cost 800 pesos ($20 USD) and leave for the Perito Moreno glacier from El Calafate at 9 am or 1 pm and return at 5 pm or 7 pm. The Perito Moreno walkways are organized in different sections and colors: Red, Yellow and Blue. The yellow walkway leads to an overlook in the center of the glacier. If you want to see pieces of the glacier walls fall into the lake, this is the best place to do that from since it provides a panoramic view of the entire glacier. But this also happens to be the most popular walkway and can get pretty crowded. The blue walkway leads to viewpoints on the right side of the glacier that connects with Canal De Los Tempanos. The red walkway leads along the left side of the glacier along the Brazo Rico section of the lake where tour agencies also take visitors on boat excursions. You could spend as much time as you wish exploring these walkways during the park’s opening hours from 8 am to 8 pm but on average most people spend around 3-4 hours at these viewpoints. 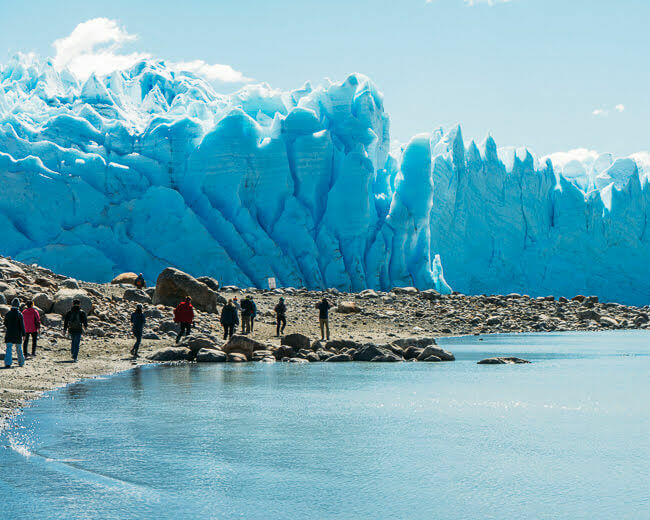 We wanted to do some type of glacier tour on our visit and after stopping by the El Calafate Information Center, they pointed us towards the Hielo & Aventura tour company. 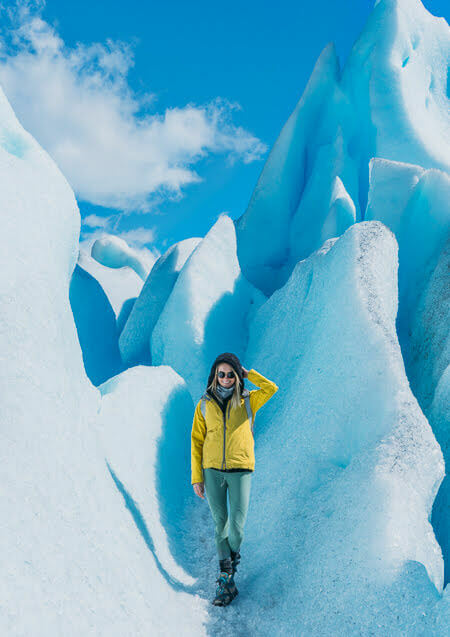 Hielo & Aventura has been offering tours and treks on the Perito Moreno glacier for over 25 years and is one of the biggest glacier tour companies in Argentina. 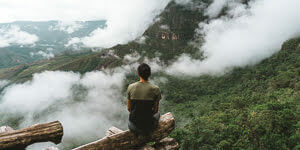 Going through Hielo y Aventura Company directly is also the cheapest option that we found since they operate their own tour buses and boats in this region. 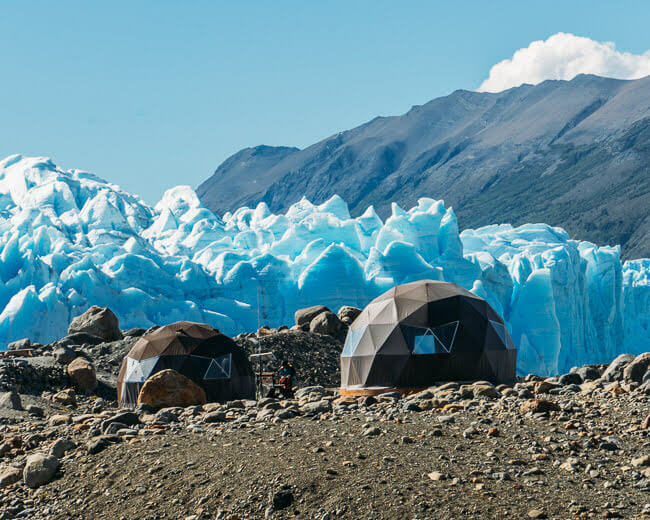 Although you might find other companies around El Calafate offering tours to the Perito Moreno glacier, for the most part, they only act as middle agents and will sign you up with one of the Hielo & Aventura Company tours regardless (and take extra commission along the way). We found the Hielo y Aventura office on the main street in El Calafate. 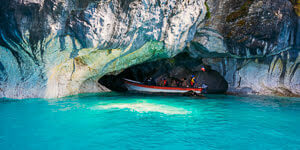 They offer a variety of tour options from boat tours to short treks and long all day treks on the glacier. If you want to see the glacier from a closer vantage point, a boat tour is a wonderful option that will take you up closer to the glacier walls. A boat tour to the Perito Moreno Glacier lasts about an hour and departs from the Bajo Las Sombras port in the Los Glaciares National Park. The boat excursion as of 2019 costs 800 pesos ($20 USD) and tickets can be purchased at the Hielo y Aventura office in El Calafate or at the ticket booth in the port. In addition to the boat tour, you will also need to purchase an entry ticket into Los Glaciares National Park for 700 pesos ($17 USD). The Perito Moreno glacier is one of the few glaciers that allows trekking tours on it. We’ve seen plenty of glaciers in Patagonia, but we’ve never hiked on top of one. It sounded like a really cool experience that we wanted to check off our bucket list. In order to hike on the Perito Moreno glacier, you will need to sign up for a tour with a local tour company. The glacier is not accessible by land plus hiking on a glacier could be dangerous so for this kind of thing it’s always best to go with a reputable company. We chose to go for the Mini Trekking tour with Hielo y Aventura Company that costs 3600 pesos per person ($90 USD) plus 700 peso ($17 USD) entrance fee into the Los Glaciares National Park. 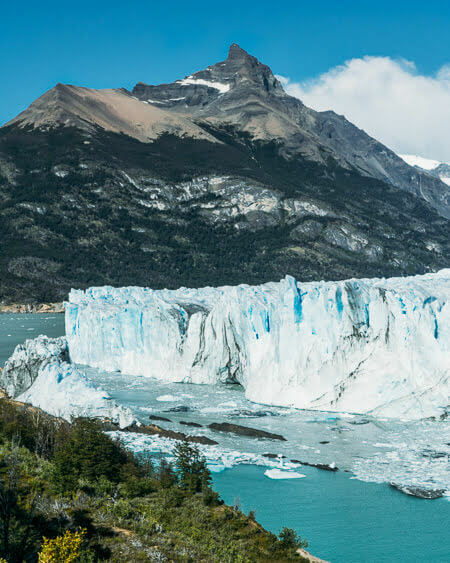 The Mini Trek tour includes a boat ride to the glacier, crampons, and experienced guides that will lead you on an hour plus long trek along the Perito Moreno glacier. This option is perfect if you want to get a taste of ice trekking without signing up for a long all day tour. You don’t need any special gear to do it although sturdy hiking shoes are highly recommended. 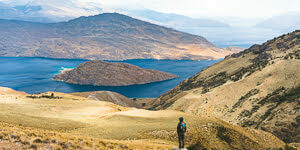 El Hielo y Adventura Company offers a few Mini Trek tours per day. The trek itself is about an hour and half long plus time on the boat getting to the glacier, gear fitting and rule explanation. All in all, the entire tour took us about 3 hours total. To do the glacier trek you will need to drive (or arrange a ride with the tour company) into Los Glaciares National Park. The tour boats depart from the Bajo Las Sombras port and leave right on the dot. We went to check out the glacier walkways before the trek, lost track of time and almost missed our boat! The boat will drop you off on the other side of the canel next to the glacier where you will meet your tour guides. The guides will tell you a little bit about the glacier, go over some rules and lead you down to the glacier trek starting point where they will fit your shoes into crampons. From there you will hike along sections of the Perito Moreno glacier that are about 400 years old. The trail is set up as a loop so you’re always seeing something new. The trek passes some awesome glacier formations, deep blue caves and underground rivers. 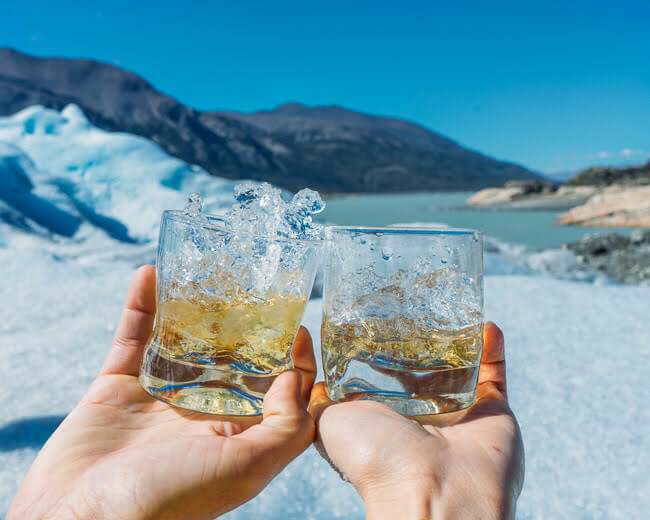 And at the end of the hike the guides served us a glass of whiskey with glacier ice which was pretty cool. Then we headed back to the Refugio for some coffee while we waited for the boat to take us back to mainland. Overall we were pretty happy with the Mini Trekking tour and even got back in time to explore El Calafate town at night. Hielo & Aventura Tour Company also offers an option for an all-day glacier trek. This tour is similar to the Mini Trekking option that we described above, but a lot longer and more challenging. 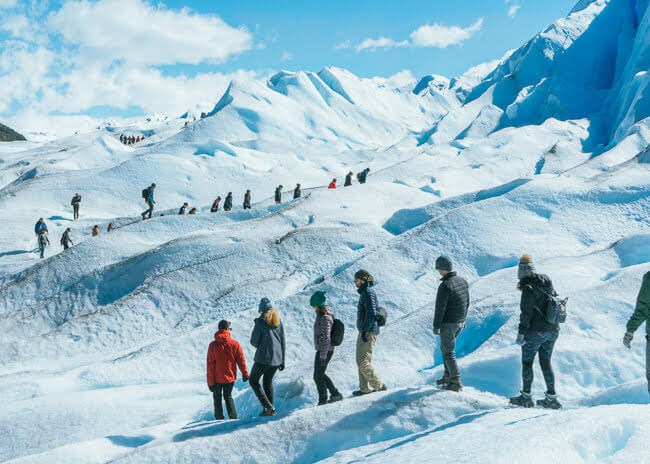 The all-day trek, or as they call it the Big Ice Trek, takes you along more difficult terrain on a three and half hour long hike on the Perito Moreno glacier. The all-day tour doesn’t run as frequently as the Mini Trek and when we arrived in El Calafate, the Big Ice Trek was sold out for the next 6 days. The Big Ice Trekking option costs 6900 pesos ($172 USD) plus 700 peso ($17 USD) entrance fee into Los Glaciares National Park. This is the most expensive of all the options and personally I felt that the Mini Trekking tour was enough to experience the glacier as a first-time glacier hiker. BUT if you’re looking for something a bit more challenging, this would be the best choice for you. 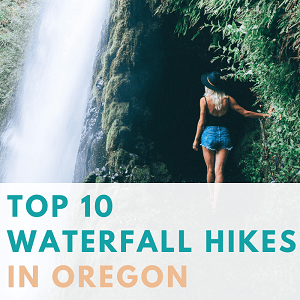 If you’re planning on visiting the walkways or signing up for a boat tour, you don’t need any special gear beyond warm clothing and some comfy walking shoes. Warm and comfortable clothing: winter jacket, hiking pants, hat, wool socks etc. Gloves: if you fall on the ice, you’ll need gloves to catch yourself. If you don’t have a pair, the tour guides will provide you with a pair of gardening gloves. Sturdy hiking boots: the tour company doesn’t recommend wearing soft and flexible shoes since crampons will make your feet hurt in those. I wore my sturdy Vasque hiking boots and had no issues in those. Food, snacks, and water. There is a restaurant next to the glacier viewpoints that offers food in case you didn’t bring any. Sunglasses and sunscreen to avoid getting burned from the sun reflection on the ice. 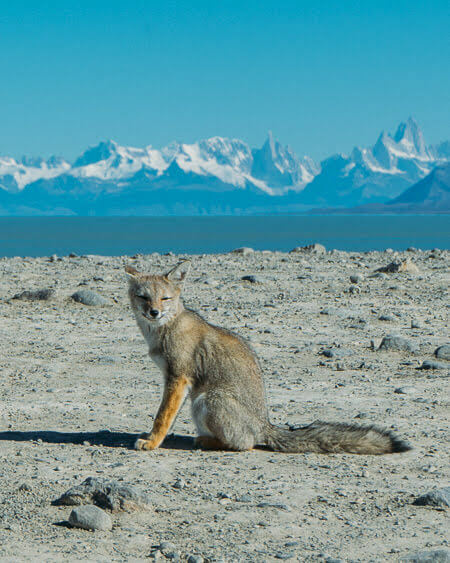 The Los Glaciares National Park does not allow dogs. Sorry to inform our fellow droners but drone use is not allowed within the National Park. All trash needs to be carried out. They even gave us little baggies upon entering the park for collecting our trash. Entry into park is only allowed during the opening hours from 8 am to 8 pm. The closest town to the Perito Moreno glacier is El Calafate. When we arrived at El Calafate we were surprised how nice this small town is and we even nicknamed it the “Tulum” of the Patagonia outdoors. The streets are filled with rustic wooden buildings, cute café’s and hip breweries with outdoors patios perfect for relaxing. If you’re looking for something a bit corkier to do, we highly recommend a visit to an ice bar. Yes, it is a bit cheesy and touristy but also pretty cool (literally)! 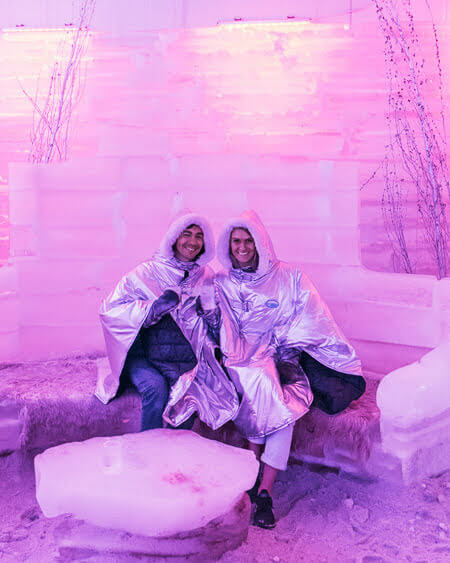 El Calafate has two ice bars that are indoors bars made of ice sculptures and furniture. These rooms are kept at below freezing temperatures preventing the ice from melting. We visited the Branca Polarbar that we heard is the nicer of the two ice bar options in El Calafate. Entrance fee to the Branca Polarbar costs 300 pesos ($7 USD) per person and this grants you a 30 minute access into the ice room with an all you can drink pass. The ice room was super cold but the staff provides you with a warm coat and gloves to keep you nice and cozy. But even with the warm coats, 30 minutes was just about our limit before we got too chilly. El Calafate is the closest town to the Perito Moreno glacier and the best place to stay while visiting the glacier. 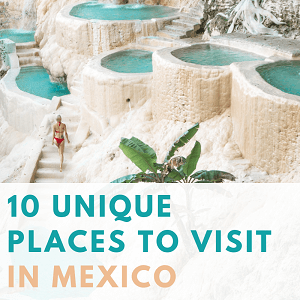 This town is well set up for tourism and offers a lot of really cute hotels and cabin style accommodations with very affordable prices. Folk Hostel is the perfect place to stay for backpackers – this hostel is located just a 5 minute walk from the El Calafate bus terminal where you can also purchase bus tickets to visit the Perito Moreno glacier. With good breakfast, spacious rooms and comfy beds that start at only $10/night, this hotel is highly rated and gets booked up quickly. Calafate Hostel is a clean and modern hostel with super friendly staff that will help you arrange transportation and tours to the nearby attractions. This hostel is located in El Calafate’s center just slightly off the main street so it’s quiet for sleeping at night but also close to nearby restaurants and shops. The Calafate Hostel is a great value option especially for single people – the beds also go for around $10/night. Posada Larsen is a charming boutique hotel on the outskirts of El Calafate’s city center with spacious, clean rooms and incredible views of the surrounding landscape. This cute bed & breakfast is highly rated on Booking.com and Google for its friendly owner and staff who will help you organize tours to the nearby attractions. Private rooms at this hotel start at $50 per person but make sure to book it early – it’s known to sell out quick. Patagonia Queen Hotel Boutique is more of a traditional style hotel located in the heart of El Calafate downtown area. This hotel offers comfortable rooms with amenities including jacuzzi hot tubs, game rooms, fitness center, and a bar. With rooms starting at around $110, the Patagonia Queen Hotel Boutique is perfect for couples and families looking for a relaxing stay. There are so many different ways to enjoy a day trip to the incredible Perito Moreno glacier. For us, trekking on the Perito Moreno glacier was one of the most memorable experiences of our time in Patagonia. If we didn’t fully cover something or if you have any other questions on how to visit the Perito Moreno glacier, don’t hesitate to ask us in the comments below!